NEW DELHI: At least two fresh cases of dengue have been reported in the last one week in the city, taking the total number of people affected by the vector-borne disease this month to five. Earlier, three cases of dengue had been reported in Delhi between January 13-20. "Two fresh cases of dengue have been reported in the last week, till January 27. 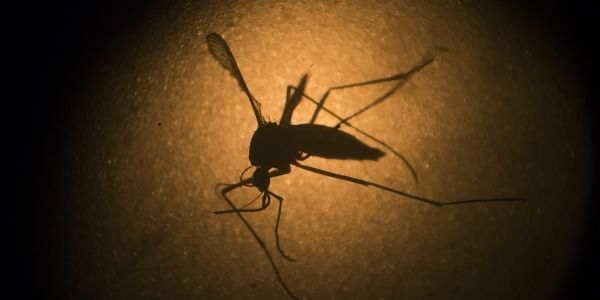 However, no cases of malaria or chikungunya have been reported," according to a municipal report released today. There were no cases of any vector-borne disease till January 13. At least 10 people died in Delhi due to dengue last year, according to the South Delhi Municipal Corporation (SDMC), which tabulates the data for the entire city. The vector-borne disease had affected 9,271 people here in 2017. Five of the 10 victims were not Delhi residents, but had died in the national capital. The official toll maintained by the Delhi municipal authorities till December 26 stood at four, even though some hospitals had reported a few more deaths due to dengue. The mosquito-borne tropical disease had claimed its first victim in the city last year on August 1, when a 12-year-old boy died of dengue shock syndromes at the Sir Ganga Ram Hospital (SGRH). The numbers of malaria and chikungunya cases recorded in 2017 stood at 1,142 and 940 respectively. Of the 9,271 dengue cases, 4,726 patients were from Delhi, while 4,545 had come to the city from other states for treatment, according to the SDMC's last report. In 2016, at least 21 dengue deaths were reported from various city hospitals, including nine at the AIIMS, though the official figure of the civic bodies was 10. Seventeen deaths, suspected to be due to malaria, were also reported by the civic bodies in 2016. At least 15 fatalities were also reported from various city hospitals due to complications triggered by chikungunya, though the civic authorities had kept the death tally, due to it, at zero.